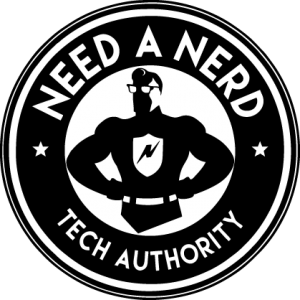 Need A Nerd proudly provides tech support for our business clients around the entire Middle Georgia area. Our business services include: network planning and setup, systems deployment, computer maintenance, virus and malware protection, security, data backup and protection, disaster management, and on call support. We can help your business save money and work more efficiently. Need A Nerd houses a fully equipped conference room that is perfect for presentations, classes, webinars and teleconferencing. We rent the room by the hour and by the day. Just let us know what date and time you would like to hold your meeting and we’ll be happy to put you on the calendar. Thanks to the Konica Minolta Bizhub C253 we are now able to provide printing solutions in downtown Milledgeville. Print in black and white as well as color, finish your print job with hole punches or automatically staple your collated documents. Give us a call to get up-to-date print prices. For the presenter on the go we have a full setup available for rent. This mobile presentation kit includes a projector, screen, PA and all the wires and adapters you will need to make your presentation a hit. We can also provide a computer and on-site support. Give us a call ahead of time and we’ll reserve the equipment for your date and time.